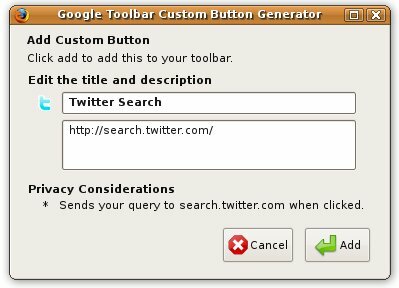 The Google toolbar is a powerful add-on for your browser. It adds very nice features (of course, to be used sparingly if you don’t want Google to know everything about you). There is also an API which offers extra features for webmasters such as creating custom buttons. 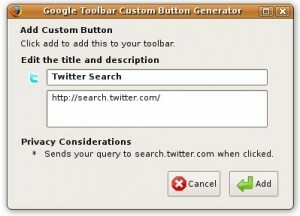 Here is a quick how-to to add custom search engines to your Google toolbar. 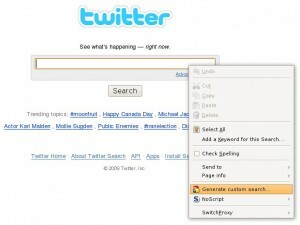 By default, Google provides a lot of alternate search engines (example: Wikipedia). 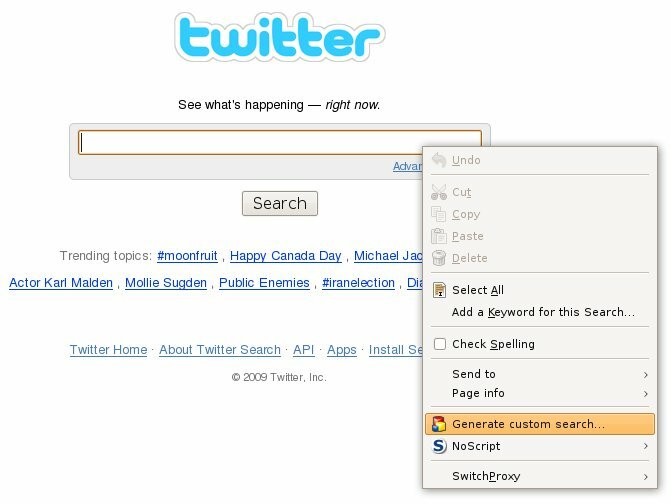 Week after week, I’m using the Twitter search engine more intensively, why not add it as a custom search engine?